Fire fully involved the barn in minutes. The middle-aged man sat in the van watching what he really wanted to do. His physically weak condition didn’t allow him to help rebuild the barn that had burned a month earlier. I knew this man, and knew his heart was with these good people, people from across the community who came together to help resurrect the barn. My friend’s presence moved me as much as the corporate act of mutual aid that we witnessed. Though he couldn’t help, my friend wanted to be there for support, for community, to keep the connection with his people. His presence was his help. 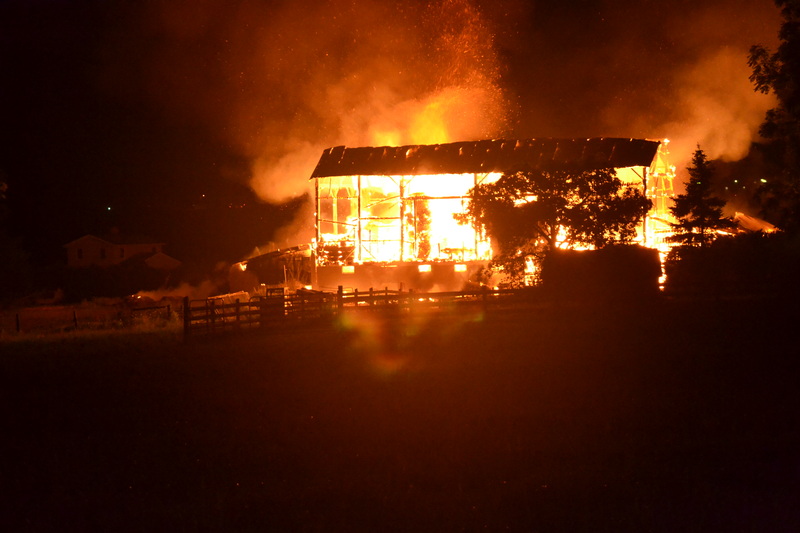 Everyone knew about the fire that had destroyed the old bank barn. There was nothing firefighters could do that night other than to protect the adjacent buildings, which they did successfully. 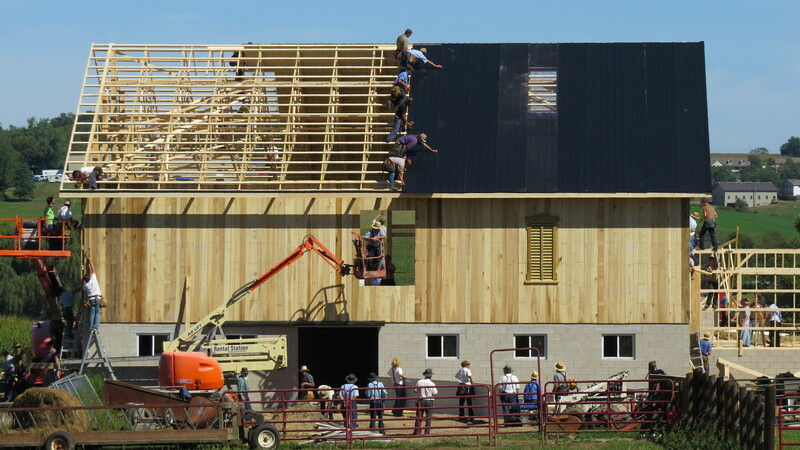 Only three days before the barn raising, the clarion call went out, one phone message to another, for help. The result was a swarm of activity that began at sunrise and lasted until the job was nearly completed. This was not only how the community worked. It was the community. 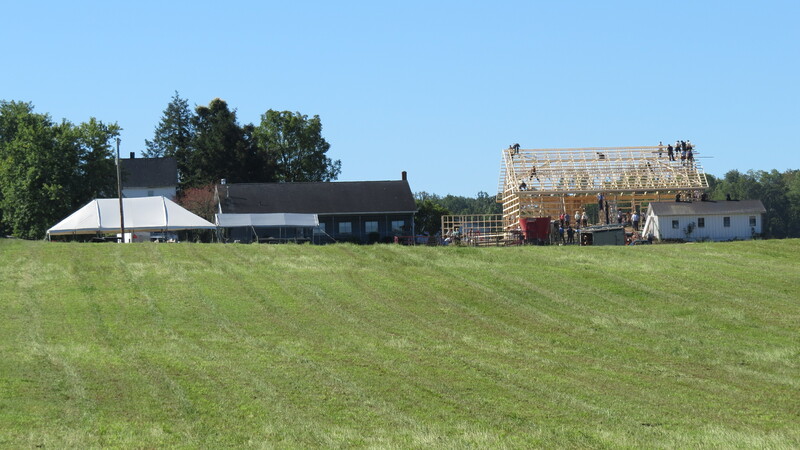 Three hours after the work had begun the barn was fully framed. My friend knew this. He viewed his vicarious participation as imperative. He didn’t need to tell me this of course. In our decades of living here in this place, we knew the unwritten, modest code of conduct. When your neighbors need help, help them. It is the way this community operates, has operated, will operate. It is who we are and how we survive. Without one another, we are nothing. No man is an island indeed. 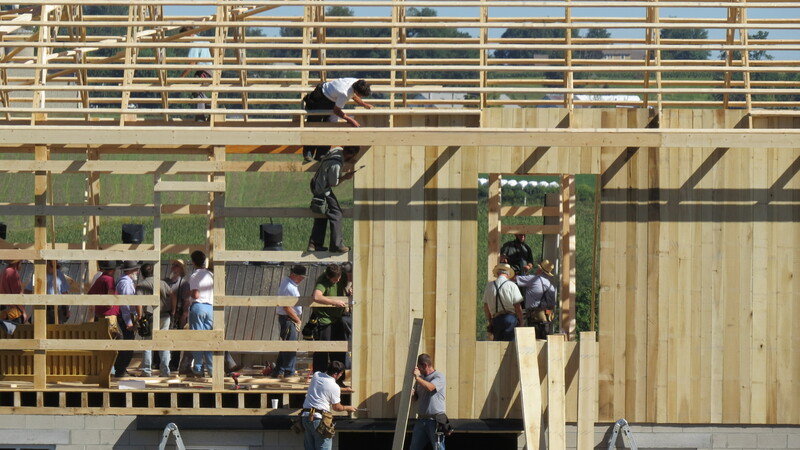 Old Order and New Order Amish worked side-by-side, hammer by hammer, board by board, with one another. Conservative Mennonites, Mennonites, and probably a few Baptists and Presbyterians were in the mix, too. All hands were on deck, no membership cards needed. 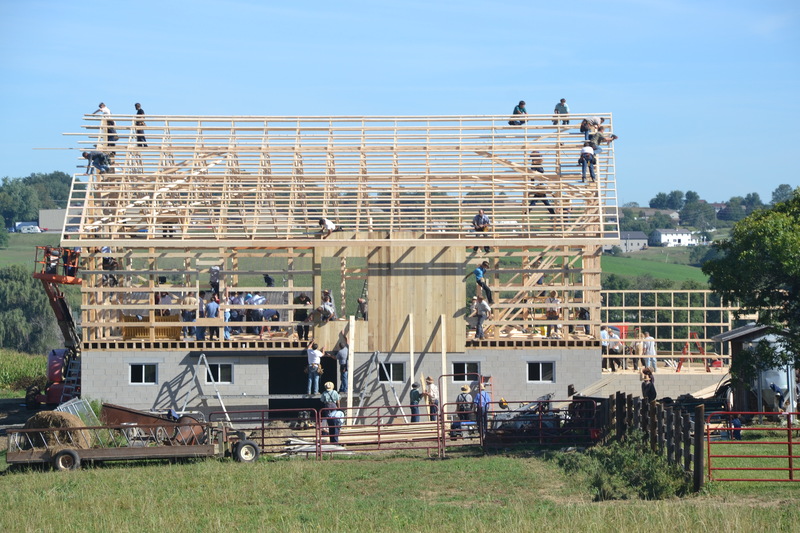 One man served as the coordinator for constructing the structure back into a barn. One body, estimated at about 300 men, women and children, made it happen. The process was beautiful to behold, a community in action. 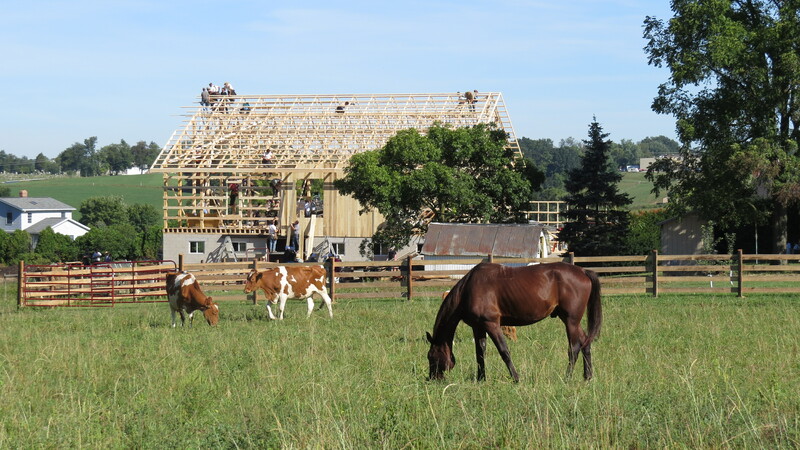 With the foundation and floor previously completed, the framing of the barn began before sunup. 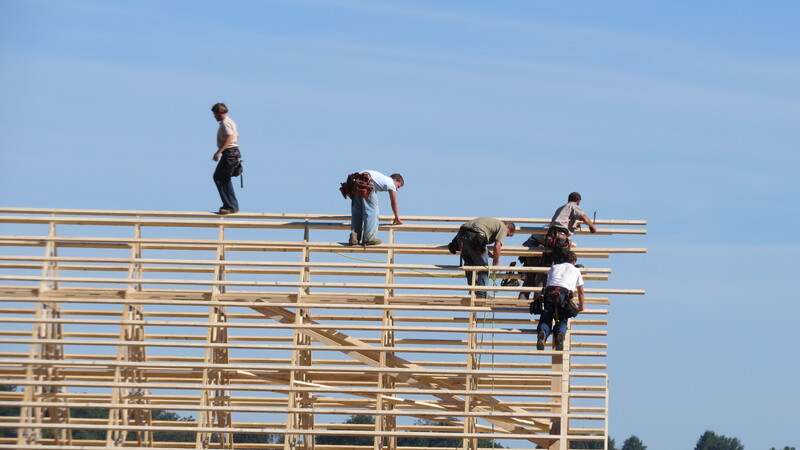 By 8 a.m., the trusses were already being set. No orders needed to be barked. Spontaneous crews simply flowed in precision without cue, and the building arose. It was mind-boggling, astounding and inspiring. 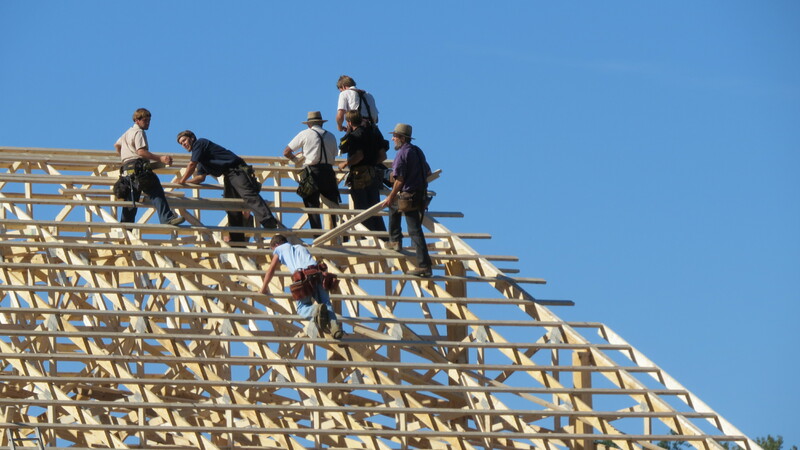 Bearded men, clean-shaven men and teenage boys, proving themselves worthy, massed over the 50 by 60 foot frame. Seated on church benches, youngsters and women, their bonnets bleached whiter by the day’s brightness, watched and waited their turn. 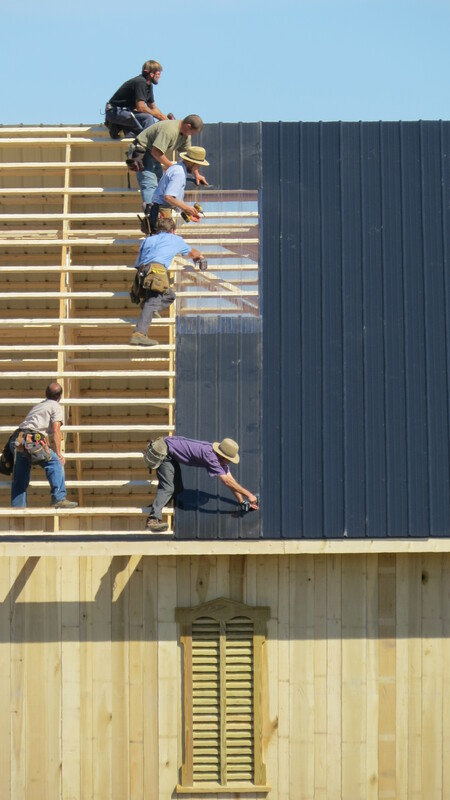 By noon, the siding and roof were nearly completed. Hearty meals of homemade meatloaf, mashed potatoes and gravy, and plenty of side dishes and luscious desserts refueled the crews for the afternoon. Even the weather cooperated for stepping casually across the peek of the roof. Clear blue sky, no wind to sway the balance, no humidity to dehydrate efficient work all made for perfect construction conditions. 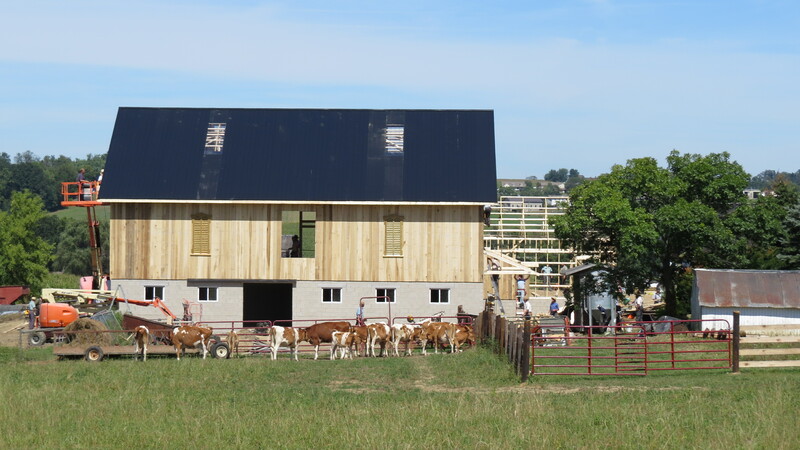 In practicality, such a coordinated effort helped cut the cost of rebuilding for the owner. In a broader sense, such a coordinated effort reaffirmed that in a cooperative community no tragedy is too great to overcome. Though he couldn’t help lift a board, my friend participated in this most sacred and iconic act. To the passersby who stopped to take photographs, it was a special treat to behold. For those who knew what really transpired, like my friend, it was much more than a delight. It was communion. 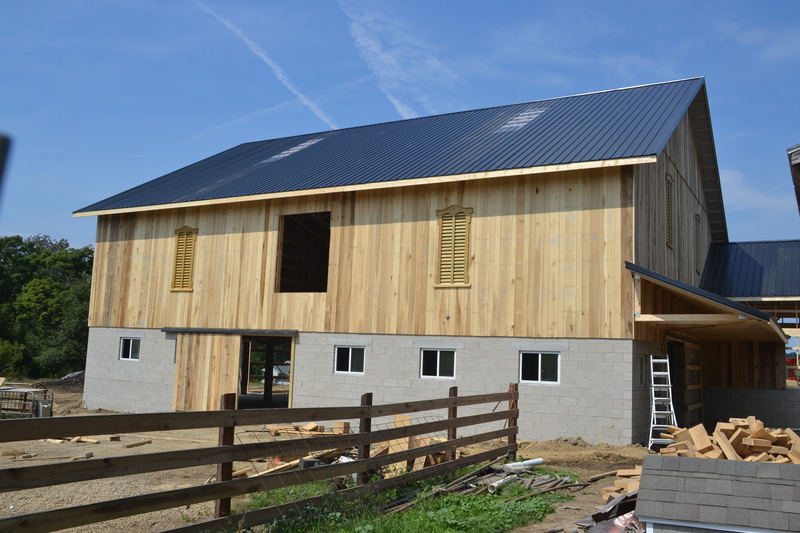 By evening work on the main barn had been completed. If all Mankind operated this way there would be no racial, religious, or economic strife. This is I believe was God’s original plan for man, to live together in harmony with one another. Thank you for another thought provoking article. You are most welcome, Norma. 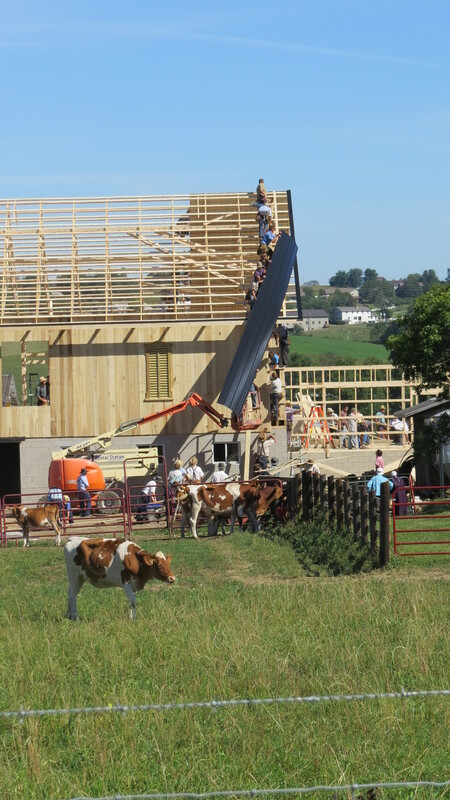 The Amish and their kin really know how to get things done. Fascinating. Indeed they do. Fascinating to say the least. 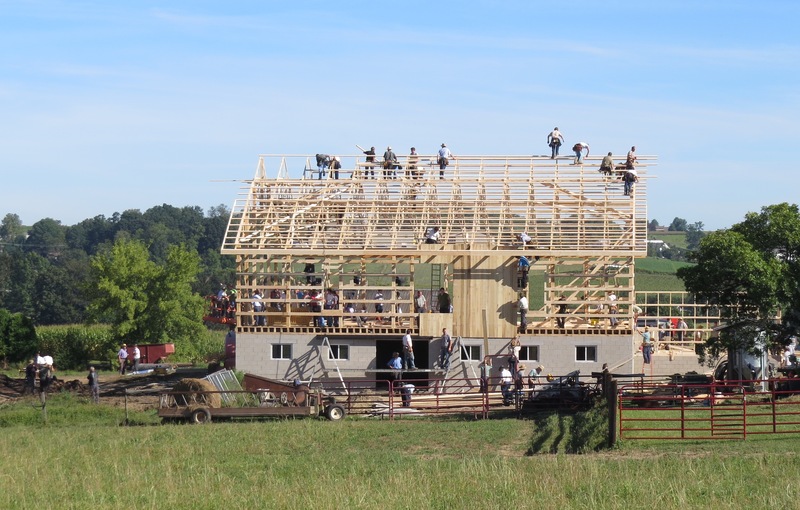 I have been to two barn raising in New York State and they were an experience of a lifetime. Both times I eat dinner with the elder men. I felt honored. Wonderful photos Bruce! Thanks, Tom. I’m glad you were able to experience that fellowship of community first hand. WOW!! It is a communion…thanks for sharing this beautiful photos. God bless you!